From the odd review or Facebook comment I'd seen about the film, I was prepared to enjoy two hours of a sort of recursive fantasy, a film about the icon Sherlock Holmes rather than the character from the Sir Arthur Conan Doyle novels and short stories. I have no axe to grind when it comes to film adaptations involving characters who have hundreds of adaptations ranging from slavishly devotion to the original texts, to invocations in name only. Sherlock Holmes is like Dracula - we all know who they are (or more accurately, have become), even if we haven't read the original books. So while I remain a stolid canvasser for an accurate Nemo, I'm more than willing to let both the world's most famous detective and most famous vampire undergo artistic liberties. They've both had great adaptions of the original works that gave them birth. While I was prepared for some wild departures from the original Holmes, I wasn't prepared for the presence of some steampunk elements. There's always the chance when dealing with Victorian adventure for something approximating steampunk to make an appearances, but Blackwood as the dastardly villain with an Infernal Device was straight-up steampunk. That isn't to say I'm arguing for the film as a steampunk movie. 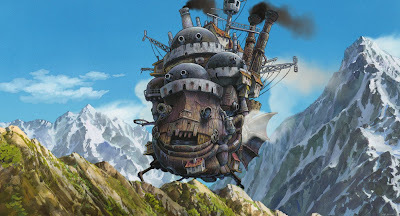 Remember - I don't really see steampunk as a genre, but rather an aesthetic applied to genres. In this case, Holmes has received a slight steampunking - the costumes alone would lend credibility to my argument, (SPOILERS AHEAD) but I'll let it stand at the chemical weapon revealed at the end of the film. There are other arguments for including the film as part of my research, but I'm most interested in the standard adventure plot with an evil villain seeking to take over the world with his advanced technological terror. While this is commonly recognized as one of the supposedly inherent plot devices in steampunk, I'd argue it's inherent to James Bond films, and Guy Ritchie has made a neo-Victorian James Bond film, replacing the huge laser beam from Goldfinger with a chemical weapon designed by Jake von Slatt. 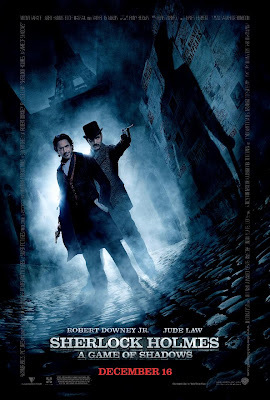 On a more personal note, I thoroughly enjoyed the film, all the more because I've been thinking a lot about Sherlock Holmes while reading Mark Frost's The List of 7, which chronicles the adventures of Sir Arthur Conan Doyle and the mysterious agent of the Crown Jack Sparks as psuedo-historical Watson and Holmes. Frost's snappy dialogue between Doyle and Sparks is echoed by Jude Law and Robert Downey Jr.'s performances. I'd be interested to know if The List of 7 was any inspiration for the screenplay, and if not, to suggest someone capitalize on the current popularity of Sherlock Holmes by making a film of it. I should also mention how satisfying it was to see the theater packed, over a month after the film's release. It made me wonder if, given the rapid proliferation of steampunk conventions across North America as well as the UK; the appearance of steampunk fashion in everything from the New York Times to recent Victoria's Secret runway shows; and the popularity of this Holmes film, if we aren't just around the corner from steampunk's "tipping point". It seems like we're on the cusp of steampunk going mainstream. Time will tell. While I know there are a lot of you who hopes this stays a subculture, I'm kind of hoping it means we'll finally see a decent steampunk movie. If Sherlock Holmes is any indication, it seems rather elementary. Arguably, Punk Rock started as a fashion/music scene in the middle late 1970's and became mainstream in the late 90's and has never gone away. Is that really so bad? Well said Mr. Sable. Many, many things I love have gone mainstream: when Lord of the Rings went uber-mainstream, I was glad for the availability of Tolkien-related stuff. Sure, there was some junk and some unfortunate fallout from fame, but really, if we think steampunk is cool, then we ought to be interested in proliferation, right? Shame you weren't in Cowtown, there was a steampunk Beers and Gears meetup yesterday. Sadly, I couldn't make it either. Steampunk always was mainstream, but it wasn't particularly popular until it turned Punk. I can't honestly say I knew that Warren, but it does prove my point - the Sherlock Holmes in media is not always the one Doyle wrote about. He's sort of become public domain - and that's part of it. I do know that people have been complaining about the absence of that line is this particular film, which now strikes me as funny. Thanks for the kudos on the blog. I like that people like it. And Cory - you need to elaborate. I think I know what you mean...but I'd like to be sure I know what you mean. 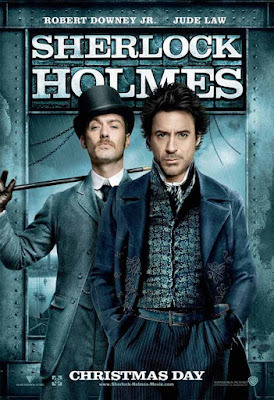 Sherlock Holmes was a good movie in many respects. I particularly enjoyed the characterizations of the Holmes/Watson dynamic, as well as the women (despite not passing the Bechdel Test). The whole story was well-written to start with. Even with the artistic liberties, it wasn't a complete Fail. I've been hearing though, that those who loved the books love the movie, whereas those who loved the old movies hated this new one. What do you think about that? If we were to chart "Steampunk" by the first modern Sci-Fi story done after the Victorian and Edwardian Eras but consciously in a Victorian-Edwardian setting, then we're looking at Universal's horror films in the 30's and 40's, followed by Disney's 20,000 Leagues Under the Sea in 1954. That's about as mainstream as it gets. 20K started a wave of films in the 50's and 60's... Probably more than have come out at any wave since (maybe even combined, I'll have to crunch the numbers some time). In the 70's there was another wave with Disney's Island at the Top of the World and Doug McClure's films. The last wave was around the turn of the millennium with Wild Wild West and Disney's Atlantis. And during all this, keep in mind the background of Disney constantly making theme park attractions, associated Verne and Wells revivals, comics, radio programs, RPGs and so on. Granted the literature, comics and RPGs weren't as popular as the films and such, but Sci-Fi literature probably isn't as popular as Sci-Fi film on a regular basis. Steampunk, or whatever it was before the term was coined, was very mainstream but it never really had much mainstream popularity. It was a genre of Sci-Fi, and Sci-Fi only gets so popular. Then some folks came along and wanted to put the Punk into Steampunk. That is, they wanted to make it an alternative fashion statement. Well, guess what? More people "get" fashion than "get" Sci-Fi. Now that it's a lifestyle, it's way popular... Media coverage, blog hits, Steampunk chapters across the Western hemisphere, conventions, club nights, and on. It being "alternative" is only window-dressing that makes it "exotic" and "interesting". And, of course, the same people who made it popular are kvetching about Steampunk becoming mainstream. They really ought not to worry though... Right now, unless you're actually interested in people's costumes, Steampunk is a creative deadzone. Cory, I agree about 20K starting a wave of what we now call steampunk. Greg Bear said that he figures it was Goff's Nautilus that 'started' Steampunk. And I think you're right about why it's in the public eye now as well, and what makes it more chic than other geek cultures. On whether or not it's a creative deadzone, I can't say - I think the stuff I'm reading is still pretty creative. Pynchon's take on it alone is really cool. But that's the literature, and not the fashion. This is why I'll never be as cool as a Maker or costume designer! Most of the reviews I've read for the lit makes it all pretty much sound like the same sorta' gritty, dirty industrial urban fantasies. The last movie I remember is The Prestige. Well, I guess The Golden Compass was a year after that, but I didn't even bother seeing it. Nothin' on TV except the odd episode of Doctor Who. There was that one album by Dionysos in '08 that was a pretty cool concept. I dunno'... it just doesn't seem like there's much going on if you're not interested in costumes and laptops, and even then, well, they all kinda' look the same. Despite all the conventions and news articles, there isn't really anything happening like there was a decade ago. yeah, I think so. I also like the Sherlock Holmes costume.